This presentation will expose problems a researcher may encounter when research data is poorly managed, including examples of actual situations when poor data management led to serious problems with data loss, research integrity, and worse. An introduction to the Web of Science Core Collection and how to search it. This session focuses on cited reference searching, Journal Citation Reports (impact factors and journal rankings) and Essential Science Indicators (the most influential individuals, institutions, papers and publications). Learn about sources for times cited counts. This workshop will introduce you to current altmetrics tools and how they’re being used to demonstrate the value of research. Learn how to use FRED, GeoFRED, and ALFRED to locate, map, graph, and save economic data. Watch uploaded Fridays @ the Library Workshops on the MU Libraries Workshops Playlist. For other videos from the Library, including tutorials, events, and history, head over to the MU Libraries channel on Youtube. This workshop is an in-depth look at enriching student learning through hands-on access to historical collections and primary sources. We’ll provide an overview of the collections, assignment ideas, and best practices for integrating Special Collections into student work. The MU Libraries hosts two digital repositories that support teaching and research at MU. Learn about how primary sources at MU Libraries can help with meeting instructional goals and assist with research. Librarians from the Government Documents and Special Collections departments will introduce collections and strategies for using them in your teaching and research. The HaithiTrust Digital Library contains millions of digitized books from libraries around the world. Learn how you can use this resource to download books, build collections, and use analytical tools to mine the contents of this large body of texts. This hands-on workshop will unlock this world at your fingertips. The University of Missouri Libraries have a variety of tools, information resources, collections, and services to assist with your instruction and research. Learn how other faculty and students are using the Libraries, and how they can best benefit you. Utilize ORCID, Google Scholar Profile, MOspace, h-index, impact factors and more to maximize your professional impact. Learn how to set up accounts and make these tools work for you. You create large amounts of digital content. What happens to that content after its creation? Will it be discoverable next year? In five years? Personal Digital Archiving provides a set of best practices for scholars to preserve and manage their content long after it has been created. Federal and state governments are an excellent source for statistical data. Review strategies for finding statistics compiled by governments, as well as statistics from non-governmental sources that are reported in federal documents. Evaluation is a crucial part of public engagement activities, but high costs and a lack of expertise can result in researchers leaving evaluation out of their proposals. This workshop will introduce the user-friendly BINDERS tool, which helps UM System researchers create projects with broad impact goals and collect granular data to align with project goals and activities. Providing online access to your thesis or dissertation makes it more visible and available to fellow researchers around the world. But what about copyright and other publishing agreements? Do you need to get permission to include images? Learn about all the options, logistics, and complications of promoting your work with MOspace, the online repository for all MU theses and dissertations issued since 2006. Explore the features that increase the power and precision of your searches for health literature. Learn how to use subject headings and field searching, how to save your searches, and more. Boost your knowledge of the U.S. legal system with this introduction to resources available for legal research. In this workshop, you will explore databases available at Mizzou, as well as other low cost and free legal resources. When is it ok to download, rip, stream, copy, distribute, or perform art, music, or scholarship created by others? What happens if you do something that’s not OK? What about your own creations? Should you assign your rights to your publisher, or retain some for yourself? We can’t give you legal advice, but we can point you to guides that will help you thread your way through the U.S. Copyright landscape. Learn simple techniques to make your numbers tell a visual story, using features in Excel that many people forget, and find simple, iconic images that will bring your qualitative data together. MU Libraries has a variety of tools, information resources, collections, and services to assist with your instruction and research. Learn how other faculty and students are using the Libraries, and how they can best benefit you. Discover methods of conceptualizing and organizing your research for an analytically strong literature review, and hear about the messy experience of researching and drafting a dissertation literature review. Get the results you want by learning key features of database searching. We’ll focus on practical techniques that save you time and effort in gathering sources for your literature review. Key interdisciplinary databases will be featured. It is your responsibility as a news consumer to be critical and skeptical. This session will share fact-checking and verification techniques to assist you in determining whether what you are reading online is fact or fake. Utilize ORCID, Google Scholar Profile, MOspace, h-index, impact factors and more to maximize your professional impact. Learn how to set up accounts and make these tools work for you! Are your students struggling with the cost of course materials? Consider using free and openly licensed educational materials. Open Educational Resources are an accessible and equitable alternative to traditional instructional materials. Learn more about campus resources that can help you find, create, and use high-quality OERs. Demystify the literature review by learning its purpose, and how to find the best sources. We’ll explore practical techniques for searching databases in both the humanities and sciences that save you time and effort. Plagiarism happens when writers and researchers take credit for someone else’s work, but it is often unintentional. Learn how to identify different kinds of plagiarism as well as how to avoid plagiarizing by making use of library resources that are free to all MU affiliates. Do you need to create a poster for a class or research project? Come learn how to make a visually appealing, content-rich, and effective presentation of your work. By the end of the session, you will know what it takes to effectively communicate about a scholarly project to an audience with varying levels of expertise in your research area. It is your responsibility as a news consumer to be critical, skeptical and know how to fact-check and verify information. This session will share fact-checking and verification techniques to assist you in determining whether what you are reading online is a fact or fake. April 28: What’s in the Archives? Learn how to access physical and digitized resources held in University Archives with advice on strategies for conducting primary source research. Learn how other faculty and students are using the Library’s services and find out about the newest tools and information sources. Learn some of the more sophisticated features of database searching to yield the results you want. Using a variety of databases, we’ll focus on practical techniques that can save you time and effort. Data-Planet Statistical Datasets provides access to an extensive repository of standardized and structured statistical data. Whether you’re a user or creator, this workshop will answer all of your questions about Creative Commons materials and licenses. This session will provide an overview on complying with Public Access Policies from funding agencies such as NIH and NSF. This session covers funding agency policies; metadata conventions; best practices for writing Data Management Plans; and submitting data to the MOspace Institutional Repository. Nov 11: "I have an idea for an invention, where do I go from here?" Learn the steps to determining whether your invention might be patentable. We will explore basic search tools on the U.S. Patent & Trademark Office website (www.uspto.gov), plus some more powerful tools such as PubEast, freely available onsite at Patent & Trademark Resource Centers. Guaranteed to provide entrepreneurs and inventors simple patent search strategies. Need to make your research publicly available? This session will provide an overview on complying with Public Access Policies from funding agencies such as NIH and NSF. Topics also include a brief overview of Open Access journals and how they relate to agency policies. Learn how to capture survey results that can assist with collecting data for research projects or class assignments, or assess user satisfaction with academic and administrative programs. Create surveys, collect responses, and analyze data through the Qualtrics insight platform. Learn about the online plagiarism detection service for your thesis and add LibX to your browser to access the MU Libraries’ catalog, e-journals and e-resources. 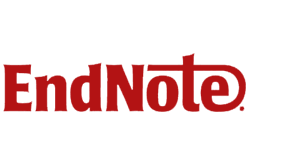 Learn about the institutional edition of Mendeley available for MU faculty and students. Learn about the institutional edition of Scopus for MU faculty and students. This workshop will provide an overview of U.S. copyright law in the academic setting and point the way to resources that help in making decisions and knowing when to seek legal advice. Did you know the library has ebooks? Learn what you need to read ebooks online and how to download ebooks to your computer or tablet. In this workshop, Jonathan Cisco will present new software (both PC and Mac platforms) that can help researchers write effectively and efficiently. Is trying to keep up with new developments in your field stressing you out? We’ll show you some tools that can make keeping up with the latest research easy and painless. Learn about resources, data, and services available to use in your business plans. This session will review how these resources are purchased at MU Libraries and how we provide access to faculty and students. Open Educational Resources are an accessible and equitable alternative to traditional instructional materials. Learn more about where and how you can find high-quality OERs to use in your courses.